Have you ever wondered who took all those pretty pictures found in Nikon's product brochures and other publications? One of them is mine. I submitted five photos to the Nikon Photo Contest International 1985/86. Established in 1969, the NPCI is considered one of the world's most prestigious photo contests. 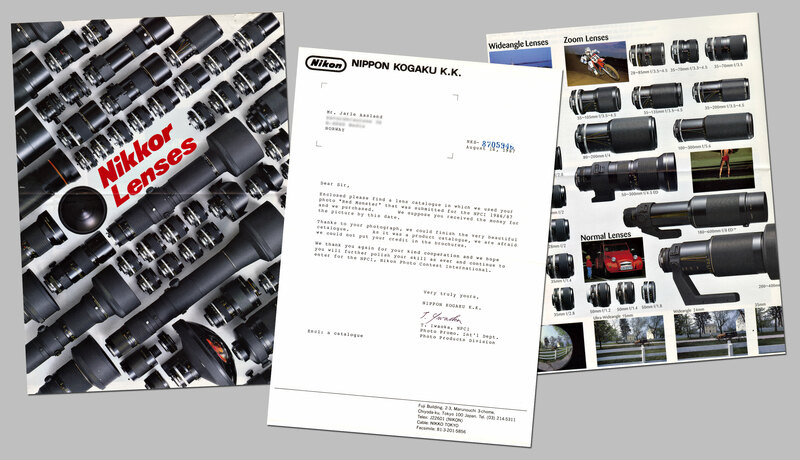 I didn't win, but instead I received a letter from the Norwegian Nikon distributor, informing me that Nikon Japan wanted to buy one of my photos. At the age of 16, or maybe I was 17 at the time, I was thrilled. Nikon wanted both the original film frame (captured on 100 ISO positive Fujifilm, if I remember correctly) and all rights to the photo. In other words: "NIKON shall be the sole proprietor of the photograph" (as stated in the contract). Today, I would have been very hesitant to accept such terms, but back then it was simply an offer I couldn't refuse. According to the contract, Nikon would pay $150 up front, and an additional $200 if the photo was published. Using the Consumer Price Index, the total amount equals approx. $662 in 2007. Great pocket money when you're sixteen, but probably less than it should have been (in retrospect). Then again, people sell their photos for two cents on various microstock sites these days (which is a shame, by the way, but that's another discussion). «Thanks to your photograph, we could finish the very beautiful catalogue. 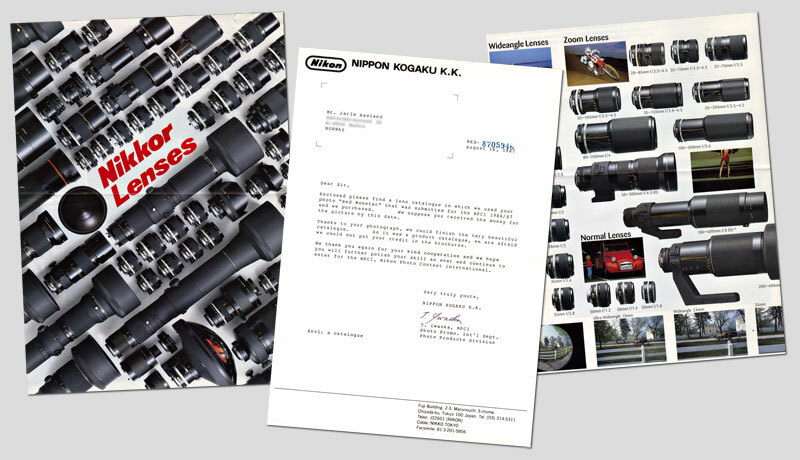 As it was a products catalogue, we are afraid we could not put your credit in the brochures.» (Excerpt from letter dated August 18, 1987). 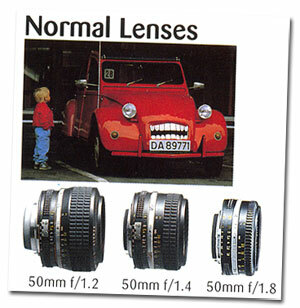 And there's another piece of information Nikon didn't tell you: Even though the photo is used to illustrate "Normal lenses", it was actually taken with a 135mm f/2.8 mounted on a Nikon FE2. Having been a secret for more than 20 years, I thought you should know. UPDATE: A few days after publishing this article, I found a few other photos taken at the same time. 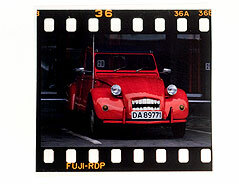 Here's frame 36 from the same roll as the photo in the Nikkor brochure. Almost identical, but without the boy.